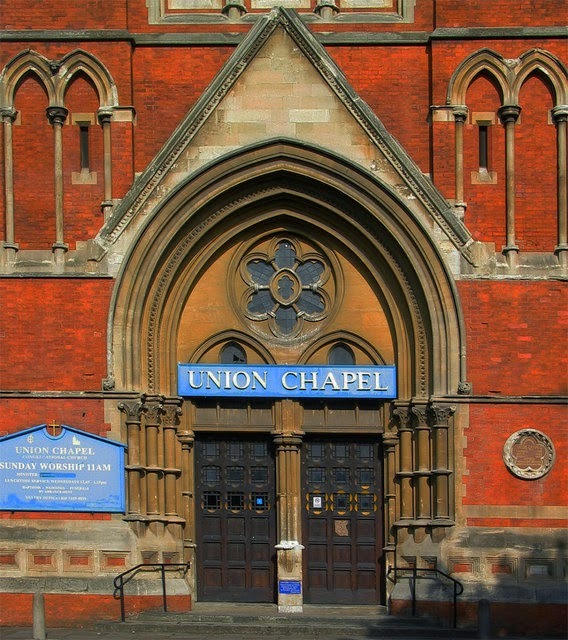 Tea, cake and free music this afternoon at Islington's Union Chapel, with Jo Bartlett, Tir Eolas & Grawl!x in James Cubitt's Grade II* listed Victorian gothic style architectural masterpiece, completed in 1872. It's a chance to get inside a beautiful building which is not only a top music venue, but also still a working church with a strong record of helping the homeless in Islington. See Grayson Perry's Who are You?